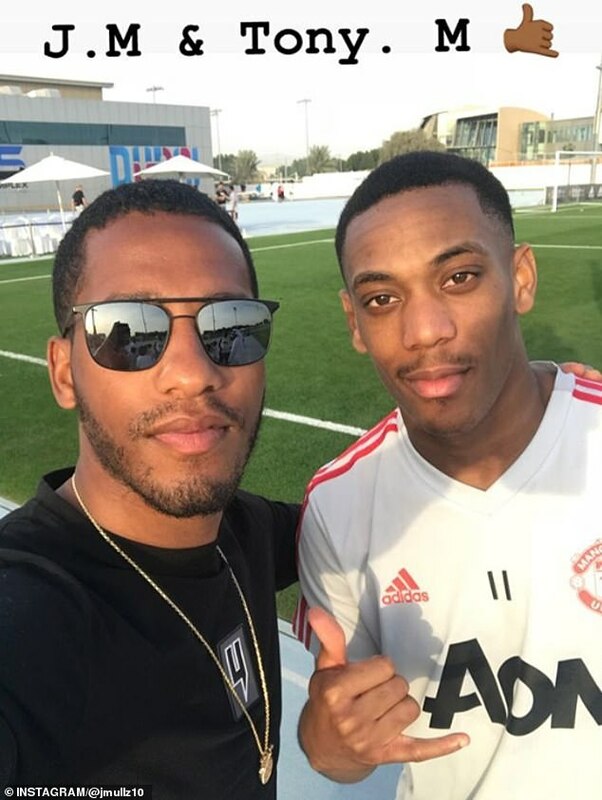 Anthony Joshua’s entourage were given special access to watch Manchester United’s stars train in Dubai on Monday afternoon. 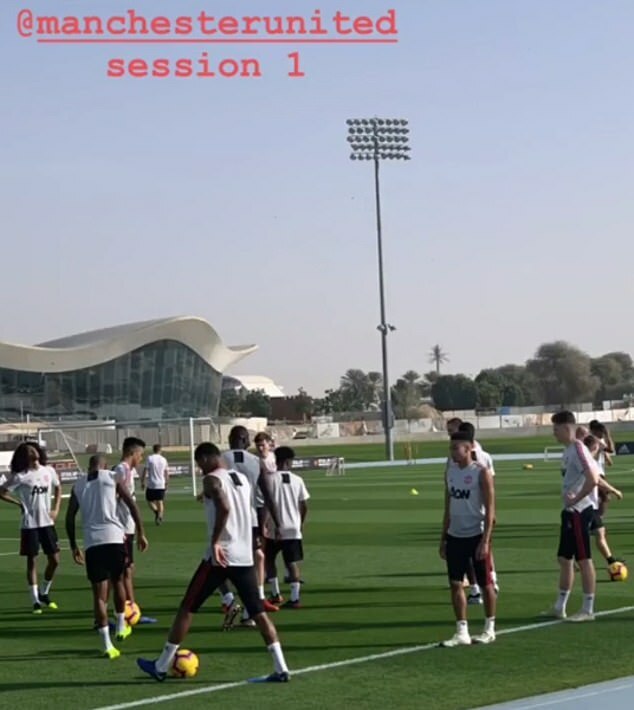 Ole Gunnar Solskjaer’s team were put through their paces in the first session in Dubai after making the trip on Saturday evening following their 2-0 win over Reading. 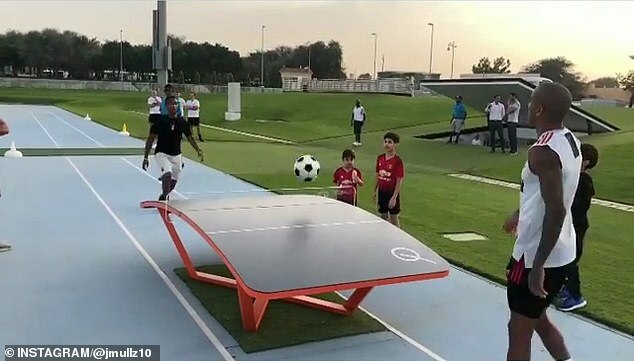 Ashley Young, who used to play for Watford – where Joshua is from, joined the undefeated boxer’s team for a game of Teqball. Solskjaer is using the trip to bring his squad even closer together following their fine run of form. His side have won all five of their games since he took over the reins from Jose Mourinho on a caretaker basis. Juan Mata said in his weekly blog that he has welcomed the break following a hectic festive period. He wrote: ‘After playing five games in two weeks, this little ‘break’ comes at a good time, where we have time to be with our team-mates, build our team spirit further and gather our strength for the second half of the season. ‘They also say that the sun makes your body produce vitamin D, which is good for your health. ‘What helps our confidence most is to win. The victories, as is always the case, came at a great time for the team. ‘We are enjoying a great period of form and we are going to fight to extend it as far as we can, enjoying the journey as much as possible.